Hill returns to work on October 23, but for how long? 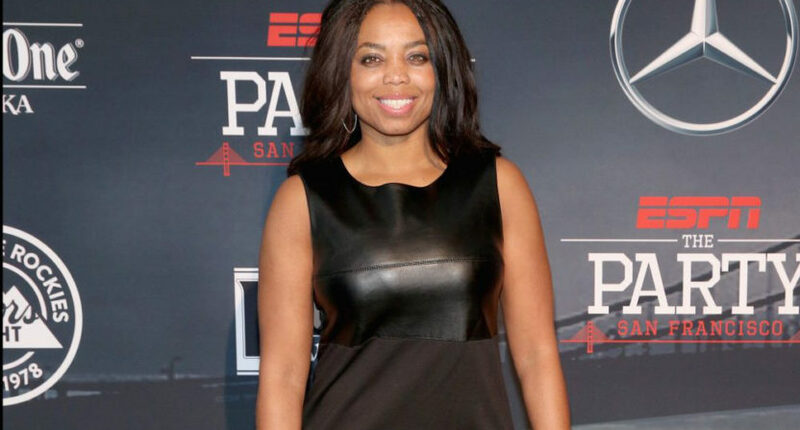 Jemele Hill has been on suspension since October 9 and will return on October 23. But while she’ll back at work, the question is, what will actually be next for her? While her show with Michael Smith, SC6, remains on the air, the show that was once supposed to showcase them both in the vein of their old show, His & Hers, has become more of a traditional SportsCenter show in recent weeks. While Hill remains off the air, ESPN has to be doing some thinking as to whether it’s worth it to keep her. While her tweet about President Trump being “a white supremacist” certainly rankled many and reportedly almost got her pulled off SC6, it was her tweets about boycotting sponsors that got her suspended. Hill has her supporters inside ESPN and among her fellow journalists, but she also is polarizing — especially on the right side of the political spectrum. ESPN is in the middle, having to decide whether to keep her on-board and on the air. If you look at recent history, the Worldwide Leader has decided it was better to cut bait on its more volatile employees. Bill Simmons and Curt Schilling are prime examples, and after Hill returns to work, it’s possible that she might be too controversial for ESPN, Disney, and the corporate bosses to keep her around. Sports Illustrated’s Richard Deitsch is one who thinks that ESPN will eventually decide to cancel SC6 and cut Hill loose. In his podcast, Deitsch talked with ESPN tome author and insider Jim Miller about Hill’s future, and he also believes she’s not long for the Worldwide Leader. That’s one opinion on Hill’s future, but as one looks at the tea leaves, ESPN has to decide whether it can continue this relationship. As we’ve learned, Disney and ESPN have decided that no one is bigger than the brand. One can be the face of the network, but not be bigger than the network itself. As the days and weeks progress, ESPN may feel that going forward with Hill may not be worth the headaches.